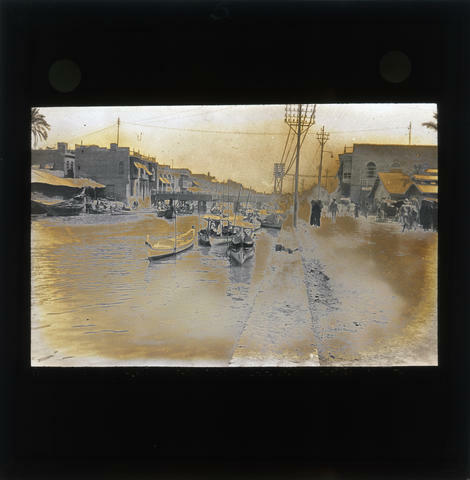 Item is a glass plate lantern slide of boats in water. There are unidentified buildings in the background as well as people on a walkway next to the water. The photograph was likely taken in present-day Iraq between 1914 and 1918. Lantern slide was originally found in a wood box labelled "Box 2". Lantern slide is numbered as 5. Description created by Emily Hines on September 28, 2018.